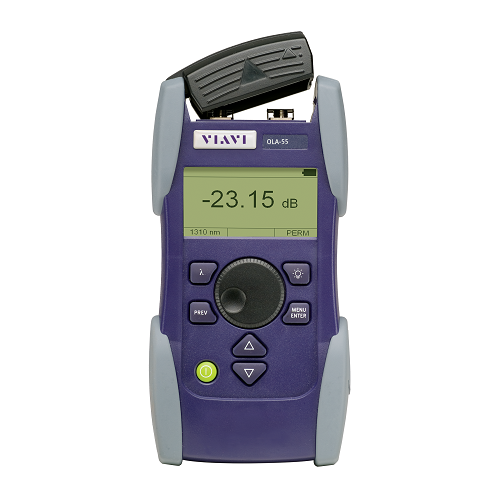 Compact and rugged handheld attenuators for field or lab use. The SmartClass OLA-54/-55/-55M Optical Level Attenuators are future-proof, improved variable attenuators for fiber system testing as well as installation, maintenance, and production of multimode fibers (OLA-54) and singlemode fibers(OLA-55/-55M). The OLA-55M Motorized Optical Level Attenuator provides in addition an implemented power meter for stabilized level controller applications.